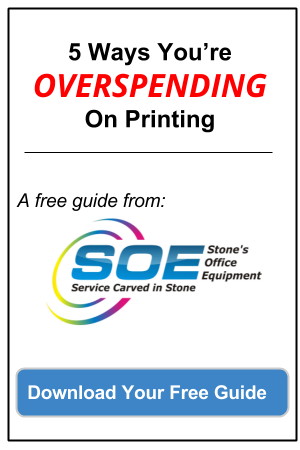 Most businesses have come to rely on their office equipment for more than just printing and copying. Today’s modern multi-function printers (MFPs) are expected to help improve processes, and document management. The best MFPs can scan documents and convert them into digital files that become searchable records. Many offices expect their MFP to be able to print wirelessly from a variety of devices. As with any wireless and mobile technology, administrators need to ensure enterprise-level security and control. For many people considering office equipment companies, Sharp is rarely the first brand name that comes to mind. While other companies may be more recognizable in the office equipment industry, Sharp is the only full line copier company on the top 100 most powerful brands. The Sharp MX-3070N, MX-4070N, and MX-5070N are popular full-featured MFPs that offer the latest technology and security features to benefit all members of an organization. Business executives will appreciate the enhanced document and workflow capabilities of the 70 series. Enhanced optical character recognition (OCR) included allows digital document conversion, storage, and document retrieval without a PC. Office staff will benefit from the machine’s speed and flexibility. 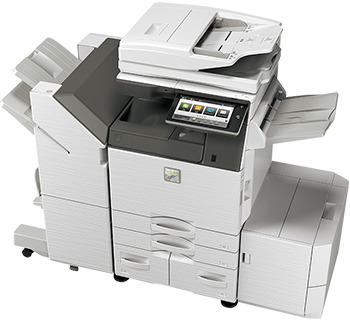 With an output capability of up to 50 pages per minute (MX-5070N), teams can create large print volume on demand. The full-color capability means the devices can handle everything from simple meeting agendas to complex full-color presentations. IT staff and administrators won’t have to worry about the device network integration or security. Sharp has paved the way with the latest wireless connectivity and security protocols built right in. The available features from the Sharp 70-series make it one of the most robust options on the market. Not only do each of the models offers full color capability, they also have a rich set of features to increase productivity and ease of use. Stone’s Office Equipment is a full-service office equipment dealer serving central Virginia, including Richmond and Fredericksburg. Contact our staff today to see how we can help improve your office’s document management processes or reduce operating expenses associated with your existing office equipment.